Almost unnoticed was that the Redmond, Wash., company announced a virtually identical scheme for corporate subscribers to Office 365. 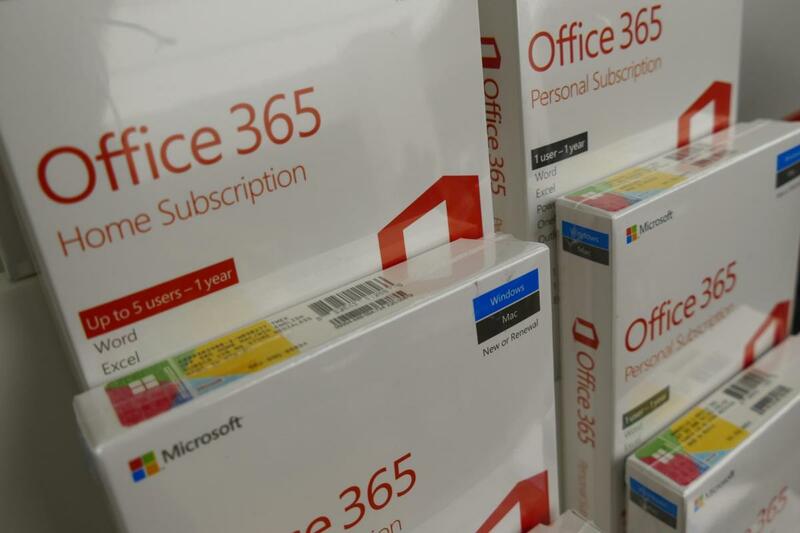 Office 365 ProPlus -- the application suite provided to customers under plans like the $20-per-user-per-month Enterprise E3 and the $35-per-user-per-month Enterprise E5 -- would be upgraded every six months, just like Windows 10. Calling it an "alignment with Windows 10," Microsoft outlined how it plans to deliver and support ProPlus, starting in September. We've distilled Microsoft's description to the most important questions and, of course, answers. What's the new schedule for Office updates? March and September, annually, like Windows 10. Rather than issue Office feature updates three times a year -- in February, June and October -- the cadence since Office 2016's launch in the fall of 2015 -- Microsoft is slowing the tempo to twice yearly. Why? Has Microsoft said? One word: "feedback." That's almost always Microsoft's rationale for change of any kind, and it holds true here. "[Customers have] also asked us to simplify the update process -- and to improve the coordination between Office and Windows," wrote Ron Markezich, a Microsoft marketing executive, in a post to a company blog. Really -- that's all it took? OK, maybe money played a part. Microsoft has been aggressively promoting what it calls "Secure Productive Enterprise" (SPE), a subscription program introduced nearly a year ago that combines Windows 10 Enterprise, Office 365 and Enterprise Mobility + Security. (That third component, Enterprise Mobility + Security, is an aggregate of device and user management tools, along with advanced security options. Microsoft's defined the contents of Enterprise Mobility + Security on its website.) Like most subscriptions, SPE comes in two flavors, E3 and E5, with the latter costing more because it comes with additional enterprise calling and security features. Because SPE bundled both Windows 10 and Office 365 ProPlus, subscribers had to deal with two different upgrade tempos. Apparently, that didn't go down so well with users. "This change will make planning and managing updates for both Office and Windows easier for customers using the Secure Productive Enterprise," Markezich, the Microsoft marketing exec, said. The support extension matched that of Windows 10, which has also settled on 18 months, more proof of a link, at least in Microsoft's mind, between Windows 10 and Office 365. Weren't Windows 10 and Office 365 on an identical cadence before? Didn't both come with about 12 months of support per update? You get a prize for paying attention! Yes, they were. And yes, they did. As Windows 10 and the latest version of Office 365 ProPlus, based on Office 2016, were lurching toward launch, Microsoft laid out a three-times-a-year release schedule and pledged 12 months of support for both revenue pillars. Because Windows 10 was first in the queue, its release calendar and support lifecycle was revealed first, followed by ProPlus. Even the name of the release tracks -- Office used "Branch," for instance, for a few months before switching to "Channels" -- were similar. Anything else? Yes. Microsoft changed the terminology it uses, and expects customers to understand, for the multiple Office 365 ProPlus release "tracks." The twice-a-year feature updates will be named Semi-annual Channel (Pilot) and Semi-annual Channel (Broad), each describing how Microsoft envisions them being deployed in the enterprise. Most people will probably refer to them as simply "Pilot" and "Broad," the latter representing deployment throughout an organization. This is the third round of names Microsoft's hung on the faster release schedule. The original labeling used Windows 10's "Current Branch" and "Current Branch for Business" starting in the fall of 2015; Microsoft ditched that for the "Channel" terminology in 2016. When will Microsoft release the first Office 365 ProPlus upgrade under the new schedule? The company said the Pilot channel will ship Sept. 12, the same day as that month's Patch Tuesday. Four months later -- on Jan. 9, 2018, also a Patch Tuesday -- the same code, more or less, will be designated as Broad. Figure 2 shows the first two releases -- two each of Pilot and Broad -- and their support lifecycle lengths. Can my company skip a ProPlus features upgrade? Yes, but you will have to hustle to get onto a supported version before the one you're on falls off the list. What will Office 365 ProPlus' schedule look like for the next two and a half years? That's easy. "Office still plans to release a new Deferred Channel and First Release for Deferred Channel on June 13, 2017," Microsoft said in an extended support document.